Revitalising and moisturising cream with “Long Lasting” hydration and epidermal growth factor. 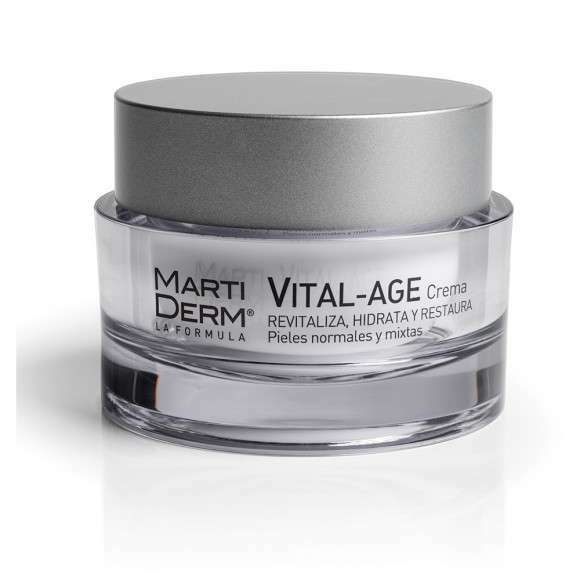 VITAL-AGE Cream adapts to suit each skin type for normal and combination skin. It has a mattifying effect with SPF15 physical sun filter.